A Big Three Success story? 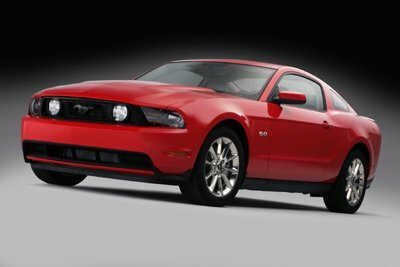 Yes, 2011 Mustang Buyers Exceed Expectations for Ford Motor Company for initial orders. Ford Motor Company reports that demand for all of the new 2011 models are up from expectations. Demand for the new 305 horsepower V6 equipped Mustangs accounts for a full 50% of new Mustang orders. With power levels above those in the V8 powered Mustang Gt cars not long ago and gas mileage of 19/30, which leads it's class, environmentally conscious buyers are lining up for their chance to own a legend. The Ford Mustang California Special which back in the day, was a California only special, is running at three times the rate expected by Ford. Those craving super car power have to look no further to the new 412 horsepower V8 powered Mustang 5.0 Gt which accounts for 41% of all new orders. And the limited production 540 horsepower Shelby GT500 fills in total sales, accounting for 9% of the total initial orders.